About 6 months ago, I for the first time in my life had to do something I had never done before. I let go of a friendship. Now, we all lose touch with friends in our lives; life happens- its normal! As for me though, I hold on to friendships longer than I should because I think that person in my life, at the moment in time, is my best friend. I want then to be my best friend when really they are close friends and they don’t treat me like I treated them etc. I have very low standards when it comes to friendships. With this particular ex best friend, we were friends for 5/6 years, it was good for a couple of years, we talked everyday, tagged each other in facebook posts, all the best friend things that besties do. I don’t know when this happened but things changed between us-we didn’t talk as much as we used to. I felt as if I was putting more effort into our friendship than this person was, they weren’t putting the effort in to our friendship that I thought I was or the effort a best friend should put in to make this friendship work. I had told this person time and time again if you do not put more of an effort, I will leave. I gave them chance after chance to do it. We would talk about this issue again and again; they would say I will try and we would make up and I accepted that. We did this all of the time until one day I could not take it anymore, guess what happened next? I cut this person out of my life-100%. I didn’t call, didn’t text, deleted them from all social media, even deleted pictures of us together. This was a little extreme, I know, but for me I had to do it. Is it hard? Do I miss her? Do I still have memories with this person? Yes, I do of course. That I can’t just erase with a click of a button nor would I ever want to because those memories were a part of our friendship and I can’t just act as if that never happened .I had to let this ex best friend go because it was time, plain and simple. I had enough of their negative mindset and drama in their life. I didn’t need that or deserve that in my life anymore so I did what I needed to do and let it go. I can honestly say as of right now,I am in a great place mentally with this best friend break up. That is not to say I don’t have my bad days, too. This is a process for sure and it will be one for a while yet it needed to happen in order for me to have higher standards of myself when it comes to friendship and to know I deserve better in the friends department. I have always believed quality over quantity when it came to friendships. That was a little blurry in this friendship but I still think that now more than ever, the way a friend treats you is far more important than how many friends you have. Just because you have a ton of friends doesn’t mean that they are all the best quality of people in your life. If they aren’t good to you or vice versa, maybe its time to let that person go for whatever reason. We all deserve better in our friendships. Once we all realize that. 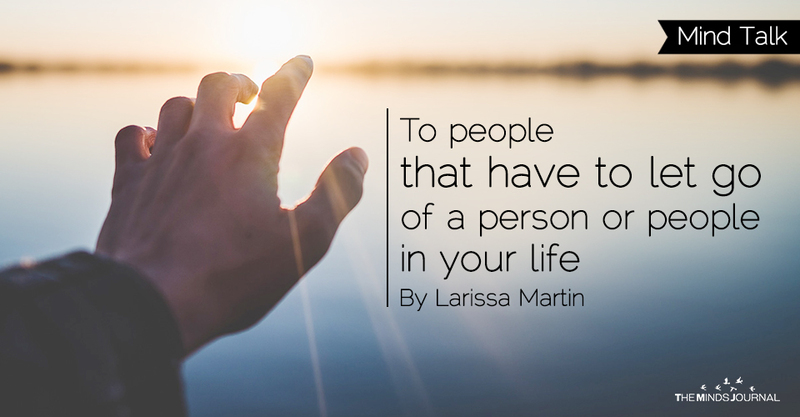 We will remove the people or person in our lives that we held on to for too long and when we let them go, we will make room for the positive supportive friends that make our lives better and you will be able to build more meaningful friendships that way.